50pcs/CTN, Carton size: 49.5x32x20cm, G.W: 15kg. 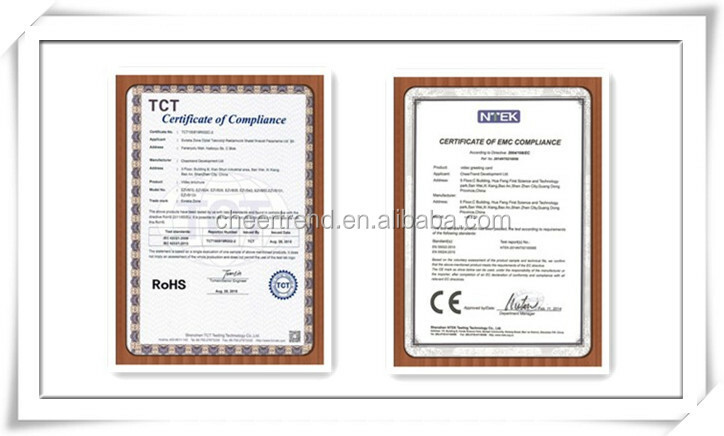 What is the Specifications of our lcd video brochure card? 350grams one side coated paper/ CMYK printing with gloss/matt lamination, Spot uv, foil , deboss/emboss option. 500mAh,1000mAh, 1200mAh, 2000mAh, 5000mAh, 10000mAh, rechargable li-ion battery. Customized one or multiple button to control different video. On/off button or magnet swich to start video and close video. Yes, You can upload the video youself after you got the brochure card, Just need connect for uploading, it's quite easy. 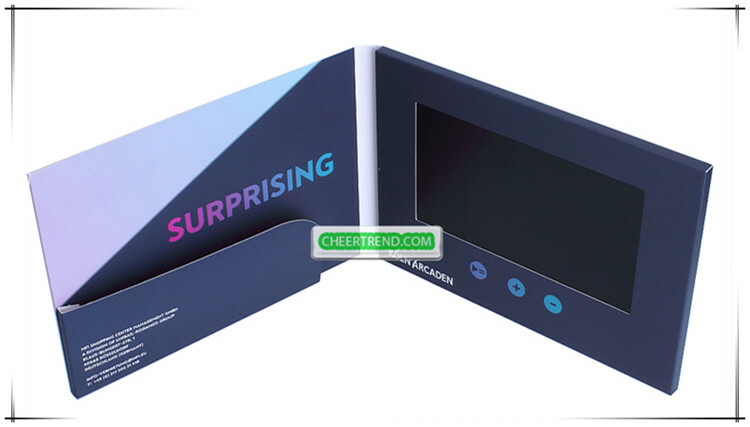 You can visit our website www.CHEERTREND Development Ltd..com choose the sample and let us know item number or send us artwork make the custom sample. 6).We would like to place order of multi designs will be accepetalbe? like 50 pieces because of two different creatives,total of 100 pieces. 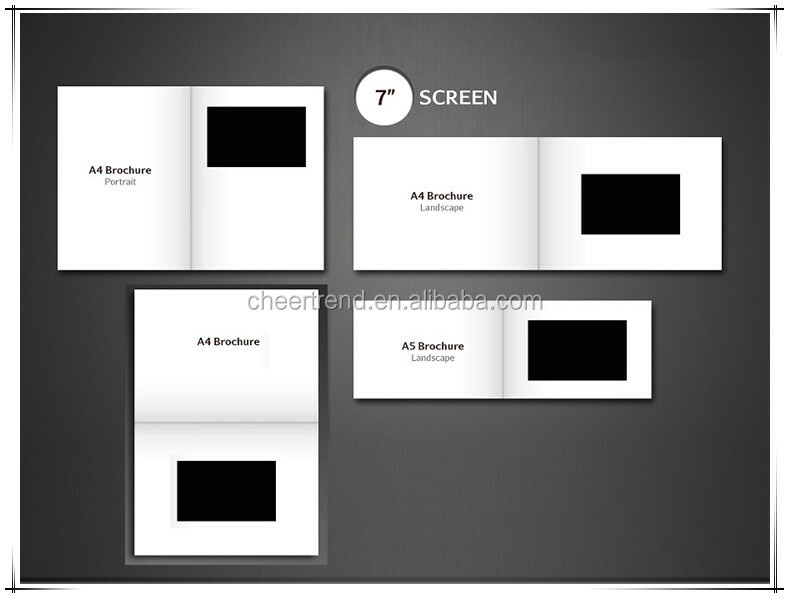 17).could you send me just the prices for screens, bottons, cables, etc.? 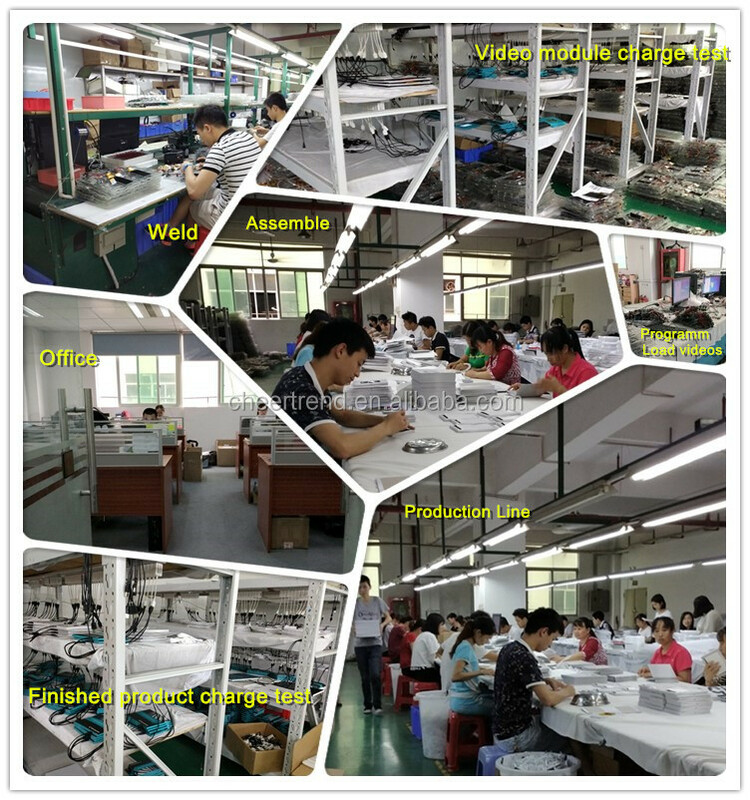 Our partner make printing so, we can integrated everything here, but maybe is better import all the solution fromChina, we'll see. 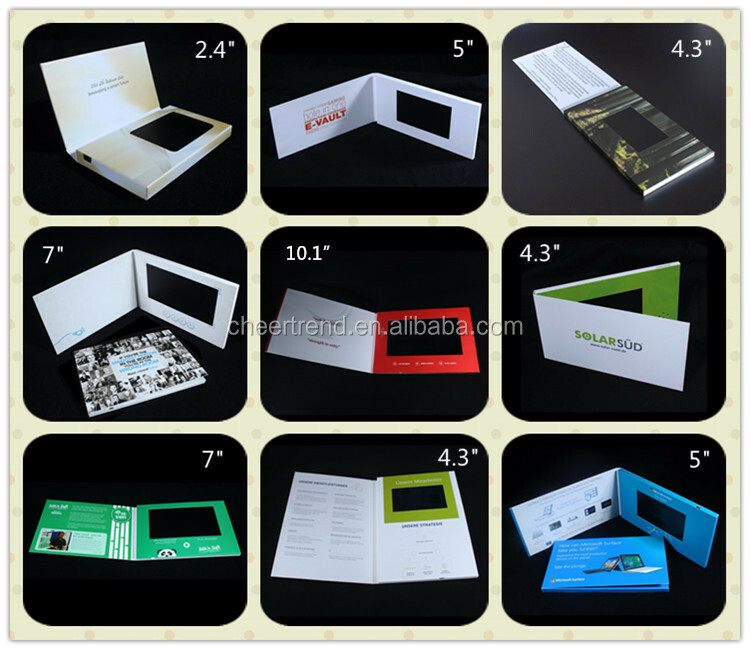 We're one of the earliest manufacturers in China which print the custom content and insert lcd video screen into the brochure. Load your video easily. 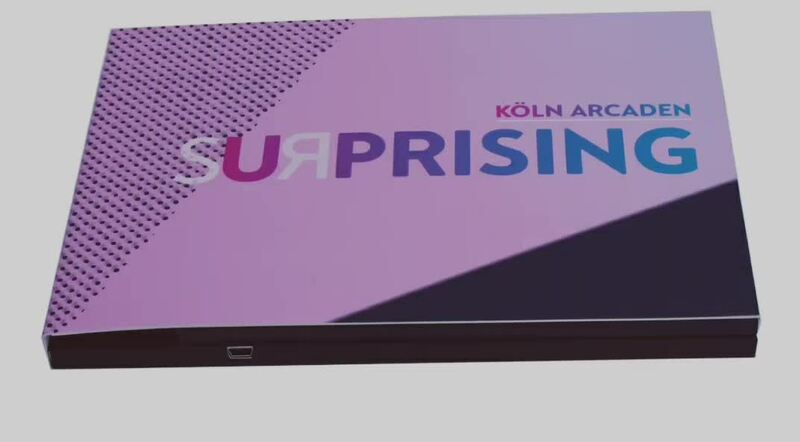 Playing the video by opening the brochure or press on/off switch. at the reasonable price. Why not order direct instead of distributor or reseller? 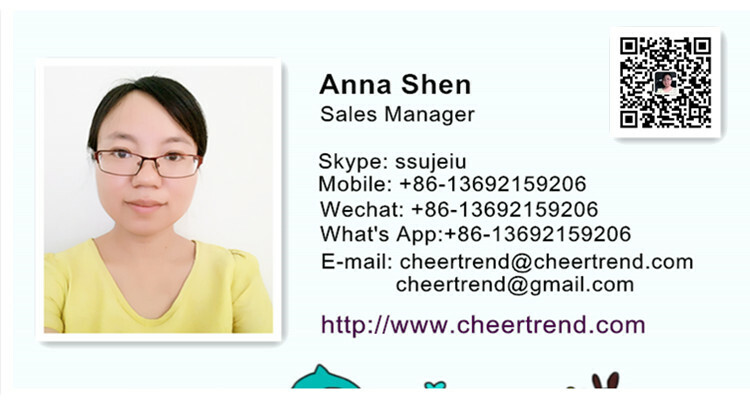 CHEERTREND is one of the earliest of China suppliers with 7 years experience for the video greeting card. and product,We're pround of it! After you place order, 7 days delivery your order and send by Express, You will get the package within 11~15 days. CHEERTREND Development Ltd. provide super fast delivery times. 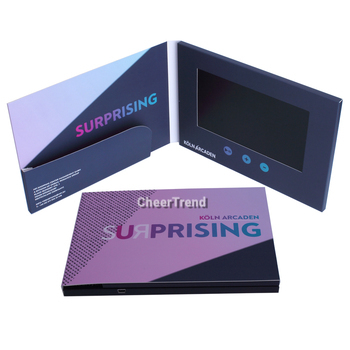 Shenzhen Cheer Trend Development Ltd.